A graphical image of the Combattante BR71 Mk II vessel. Image courtesy of CMN Group. Baynunah class (BR 71 design) is the base platform of the Combattante BR71 Mk II vessel. Image courtesy of Mztourist. The Combattante BR71 Mk II will be armed by eight Exocet Block III anti-ship missiles. Image courtesy of MBDA. The Combattante BR71 Mk II vessel is an advanced variant of the Baynunah class (BR 71 design) corvette developed by CMN, a part of Privinvest Shipbuilding Group. The vessel is designed for littoral warfare missions against airborne and surface threats, maritime patrol and surveillance, and law enforcement missions. The BR71 Mk II corvette can be deployed in coastal and seaward patrolling, intelligence, surveillance and reconnaissance (ISR), anti-surface and anti-air warfare (AAW), exclusive economic zone (EEZ) monitoring and surveillance, reconnaissance in tactical areas, deterrent strike missions, and amphibious missions with land forces. The BR71 Mk II’s design was unveiled at NAVDEX 2015 defence exhibition held in Abu Dhabi in February 2015. The mono-hull design integrates a steel hull and aluminium superstructure with an optimised wheelhouse layout, offering high field of view. The vessel features a sleek silhouette, which is intended to optimise the stealth characteristics. The modular design can adapt a range of subsystems to perform a range of maritime surveillance missions. The vessel will incorporate a larger bridge compared to its predecessor. It will have an overall length of 70.3m, an overall beam of 11m, and maximum draught of 3m. It will complement a crew of 50, and can carry 100t of fuel oil and 8t of fresh water. "The vessel is designed for littoral warfare missions against airborne and surface threats, maritime patrol and surveillance, and law enforcement missions." The forward bow deck will be mounted with a 76mm or 57mm main gun and secondary weapons including two 20mm guns along with an option for 30mm guns. 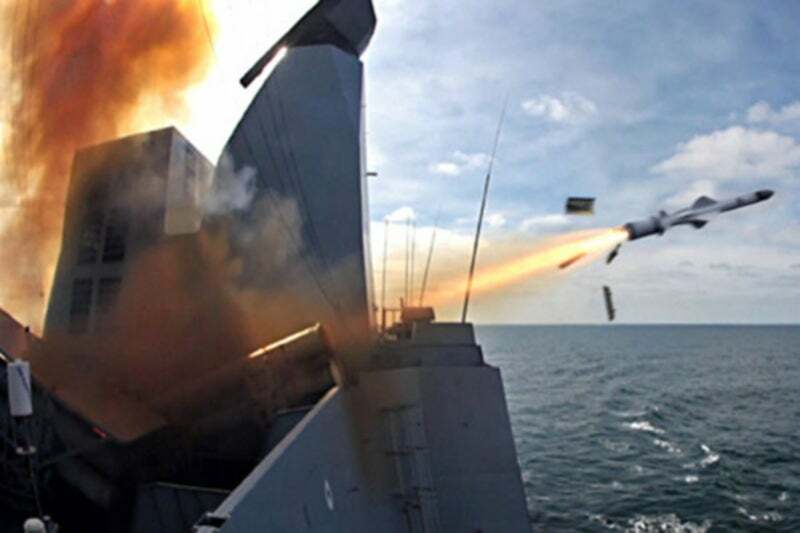 The vessel will be armed with eight Exocet Block III anti-ship missiles, a surface-to-air missile system with eight vertical launch missiles, and a short-range air defence missile system. The Combattante BR71 Mk II vessels can also integrate a range of weapon systems according to the customer requirements. The combat management system (CMS) will be interfaced with onboard sensors and radars including a 3D combined surveillance radar, X-band radar, an identification friend or foe (IFF), a fire control radar, an electro-optical (EO) system, a radar electronic support measures (ESM) system, a decoy launching system and an electronic warfare suite. The CMS will enable the crew to find, track and engage multiple threats in combat environments. The vessel will be equipped with an integrated bridge control system (IBCS), an integrated naval communications system, a global maritime distress and safety system (GMDSS), and a tactical data link. The vessel features a larger Level-2 Class-2 helicopter platform. The landing pad can support the operations of a 5t class helicopter during day and night. "The BR71 Mk II’s design was unveiled at NAVDEX 2015 defence exhibition held in Abu Dhabi in February 2015." The stern section of the corvette has been redesigned and helicopter hangar replaced with two dedicated spaces in the superstructure at starboard and port side for rigid inflatable boats (RIBs). Two 6.5m RIBs on the corvette will provide rapid response capabilities to the mother vessels engaged in anti-piracy, and visit, board, search and seizure (VBSS) operations. The BR71 Mk II will be powered by four MTU engines driving two steering and two booster water-jets. The vessel will also be equipped with three auxiliary generator sets. The propulsion system will ensure a maximum speed of 30kt and a range of 2,500nmi at 12kt speed.